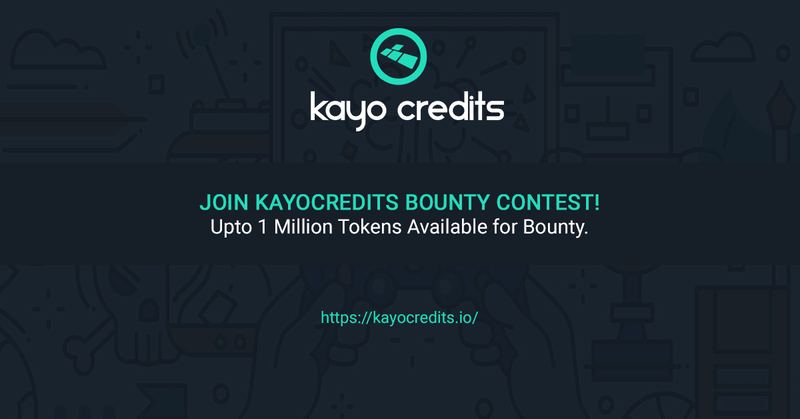 KayoCredits is proud to announce the most innovative, exciting & easiest way to earn bounty contest ever. Points can be also earned doing simple task time to time. Which help Unlock better prizes. Every entry that you earn in this contest is equivalent to points in the specific bounty contest pool of tokens! Share your personal referral link - for every person who signs up through your link you get 100 points.